Wanna know something awful about me? I’m a terribly jealous person and suffer fashion envy all the DAMN time! Every other day I’m lusting after some poor woman’s coat that I saw in the street or some school girls amazing braids, mentally taking pics of the desired outfit/hairstyle and hoping I can emulate it in the future. I shouldn’t have feared defeat and knew that my spiritual home, A.K.A. 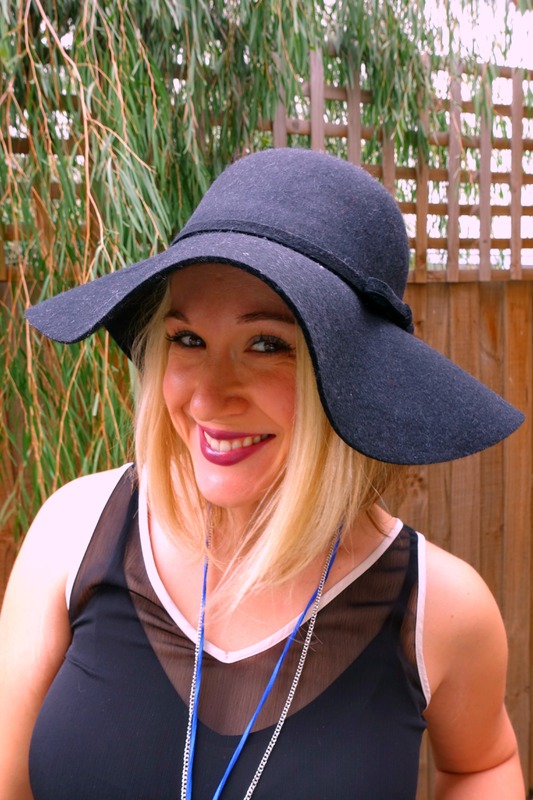 Kmart, would be stocking this fabulous black felt floppy hat AND for $15 no less. HALLELUJAH, it’s sheer perfection! 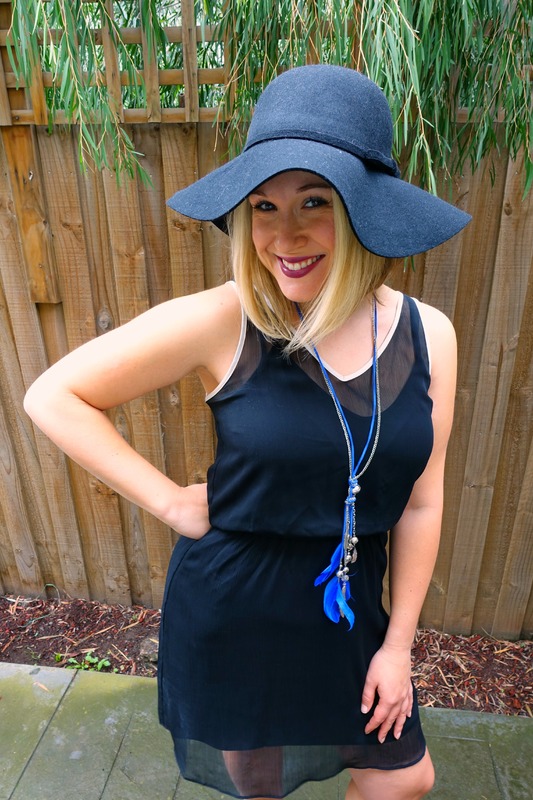 Today I’ve teamed it with one of my favourite old black dresses from Express, Coach heels and a silver and blue feather Lovisa necklace to complete that hippy vibe. Now I just need to grab my bongos and hit a bonfire somewhere!! Now I feel like I’m sticking true to my dream of wearing hats more often. 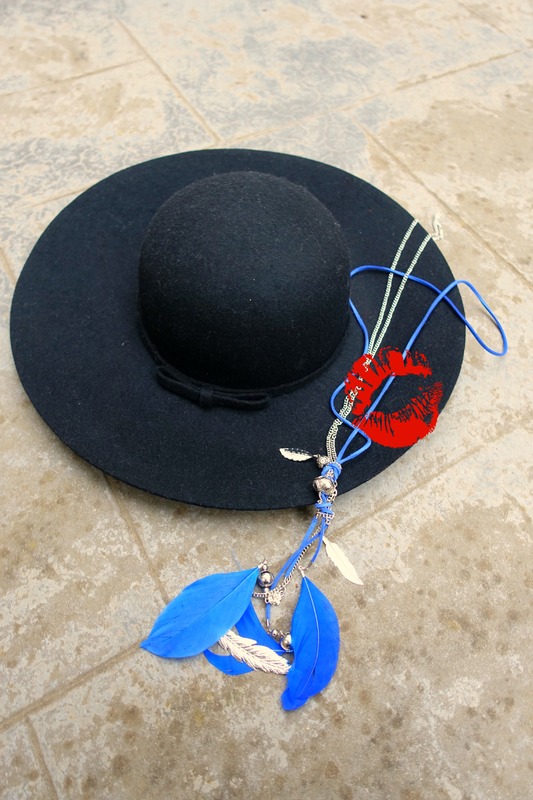 Have you been wearing more hats lately? Oh my God you look so 70s & slender & fab! Pack this outfit for Vegas baby, guys will be offering up drinks by the dozens! That hat is the cutest. I have quite a few expensive hats but I am definitely hitting up Kmart because that is lovely! I really like your dress too. You are rocking that hat! !